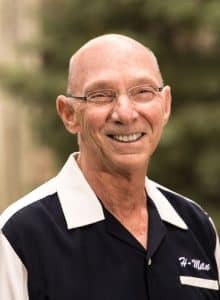 Howard Stone is a life-long jazz fan, a retired real estate attorney and investor based in Santa Monica California, who has had a second home in Vail Colorado for over 30 years. 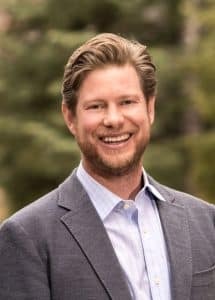 Stone loves jazz as much as he loves the Colorado lifestyle – and Vail Jazz blossomed when he brought together these two passions in 1995 to present the first Vail Jazz Party over Labor Day weekend. After the success of the first Vail Jazz Party, he dreamed further and decided to establish Vail Jazz as an organization dedicated to the perpetuation of jazz music with a specific emphasis on young musicians and young audiences. Today, Vail and Colorado are the beneficiaries of Stone’s vision, which manifests itself in an annual summer festival spanning over 12 weeks and entertaining over 50,000 people, a Workshop which has contributed to the professional development of over 200 outstanding jazz musicians, and a school program that has educated over 14,000 students in Eagle County. James hails from Boston and is a proud Colorado transplant! He graduated with a degree in Rhetoric from Bates College and earned an MBA from the University of Denver. His career has taken him all over the world and across the US working with musicians, producing events and managing non-profit organizations. Vail Jazz blends his talents and passions as he focuses on organizational and production execution so that our communities can enjoy world class performances and learning opportunities. James spends his free time with his wife and two kids exploring the natural beauty of the Vail Valley. Amanda was born and raised in Ventura, California where she lived until she felt a calling to move to Colorado. She lived in Denver for 7 years, building her professional career in business development and multi-family real estate. After meeting her to-be husband, they decided to get married at Piney River Ranch, realizing that they would move to the mountains to start their family. Amanda landed at the Vail Daily in 2016, and was enthused to be an active member of the mountain community. After the arrival of her energetic daughter Penelope, who is now two years old, Amanda developed an urge to give back and make a difference burned deeper as she watched her daughter grow and develop. Amanda joined the Vail Jazz team on July 1st, 2018, and has completely fallen in love with the music, culture, community, and youth development that Vail Jazz continues to drive. Next time you head to a Vail Jazz event, make sure to stop her and introduce yourself, she is always eager to learn more about how the music moves you and how to work together to build a better future. Brittney is originally from Sacramento, California and graduated from Hastings College in Hastings, Nebraska with a Bachelor’s Degree in Marketing and a Minor in Studio Arts. For the two and a half years following graduation she worked as an admissions counselor for Midland University, in Fremont, Nebraska. 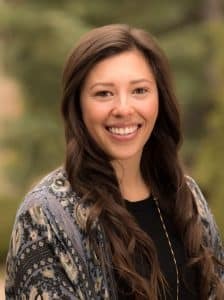 She joined Vail Jazz as the development coordinator, assisting with special events and donor relations. 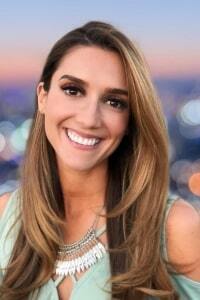 She spends her free time enjoying the outdoors, cross-fit and glass blowing. 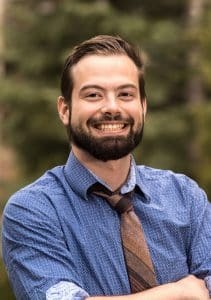 Connor joined the Vail Jazz team after spending the summer of 2017 as the Events and Operations Intern. Prior to that, he attended the University of Rochester where he majored in Mathematics. While in college, Connor took classical trumpet lessons at the Eastman School of Music. In his free time he enjoys collecting records, playing trumpet with local musicians, and exploring the natural beauty of Colorado.